nitin k, 30 Jun 2015my mobile touch screen not working what i do this problem create automaticallyThis phone is a very bad phone . it 2g internet emblem 3g. sanju, 18 Mar 2016i am using it last 2years nice ph but text messages cant be read completely Can you let me know what problem you face while reading text messages..
Ani, 02 Sep 2016is it 4 g lte enabled , I mean can we use JIO sim in it ? No..it's 3G enabled. you can't use 4G sim in this phone..
is it 4 g lte enabled , I mean can we use JIO sim in it ? Battery backup is low.rest of the things are good. It's very good phone .Internet is very fast and camera is also quite good. soumya, 21 Aug 2015I m using this phone about 2 years.Really smooth working and awesome.But now a days it's have ... morevery useless phone does not support not working . Downloading problem capacity showing irrelevent. switched off every now and then. Plz help me. My phone's screen is sprakling . can u tell me what happened to my phone. 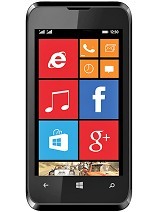 That`s phone is great! It`s very accesibile phone. The specifications are very good!!! 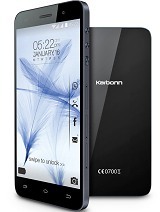 Congratulations Karbonn!!! Saved contact automatically getting saved by others name and its affect on whats app also..e.g pratik no.9595899504..is real one. N t saved automatically on vivek name.